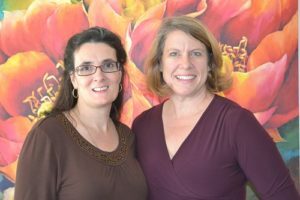 As the unfolding of a flower, OB/GYN Nichelle Whitehead and Midwife Mary Langlois came together to offer a gentle alternative for natural birth called Blossom Birth and Wellness Center. 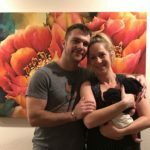 Blossom services provide a truly integrative and holistic wellness approach using methods from midwifery, obstetrics, gynecology, herbalism, body work, aromatherapy, hydrotherapy, homeopathy, and much more. We encourage a woman’s innate ability to give birth, heal, and walk through life cycle transitions with strength and honor. At Blossom Birth Center we inspire women to make informed evidence based choices, which support health & vitality. We offer gentle, respectful care for women’s wellness, pregnancy, labor, birth, postpartum, FertilityCare Appreciation, Creighton Model System and NaproTechnology with a holistic approach to include physical, emotional, and spiritual aspects. We give personalized care with respect and dignity that is woman centered, and empowering. 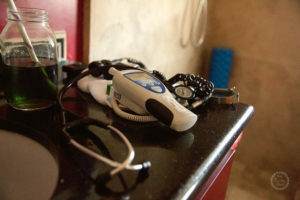 Blossom Birth Center is the only alternative to a hospital that has our own physician “in house”. If additional support is needed we are only minutes from St. Joseph’s Hospital. 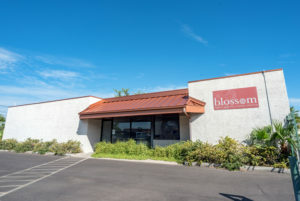 Blossom Birth Center is located in central Phoenix directly North of Phoenix Children’s Hospital. Women owned and operated with gentle, loving, care for those who choose this option. Our collaborative practice is based on knowledge, experience, evidence, wisdom, and intuition. All Blossom Clients receive an amazing binder containing in-depth information about pregnancy, labor, birth, breastfeeding, baby care, postpartum support and more! If Blossom is not contracted with your insurance plan we are considered out-of-network. If you have insurance and would like Blossom to verify your insurance benefits you may call Blossom at (602) 256-7766 and we can take your information over the phone, or click here. Please allow Blossom 2 to 3 business days to contact you with your verification. 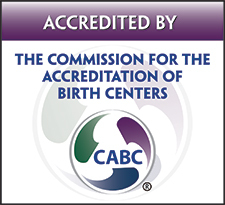 The Mark of Quality – The Commission for the Accreditation of Birth Centers (CABC), using the standards of the American Association of Birth Centers (AABC), provides support, education, and accreditation to developing and existing birth centers. The standards used for birth center accreditation are reviewed and revised on a regular basis, and Blossom Birth Center is extremely proud to have achieved this status.